With Readly you can read connect (english) and thousands of other magazines on your tablet and smartphone. Get access to all with just one subscription. New releases and back issues – all included. 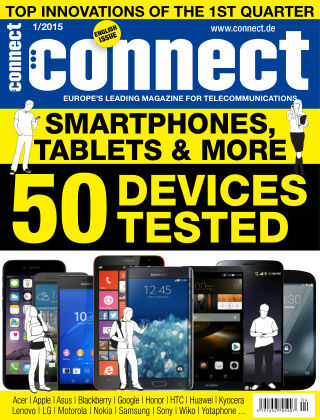 Europe′s largest magazine for telecommunications connect is the acknowledged test institution for all topics of telecommunications and the ultimate purchase and practice guide for every demand in the networked world. No other magazine informs so knowledgeable, reliable, comprehensive and up-to-date such as connect. Extensive market overviews enable you to make always the right decisions. connect - every month new.